Jorge Blanco (b. 1945) is an international artist who has created a distinctive sculptural language over more than thirty years. His expressions on positive lifestyle are invitations to value its simplicity. 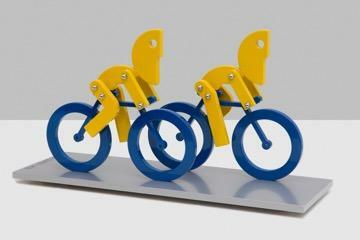 Blanco has placed 25 public art sculptures in large format across the globe. 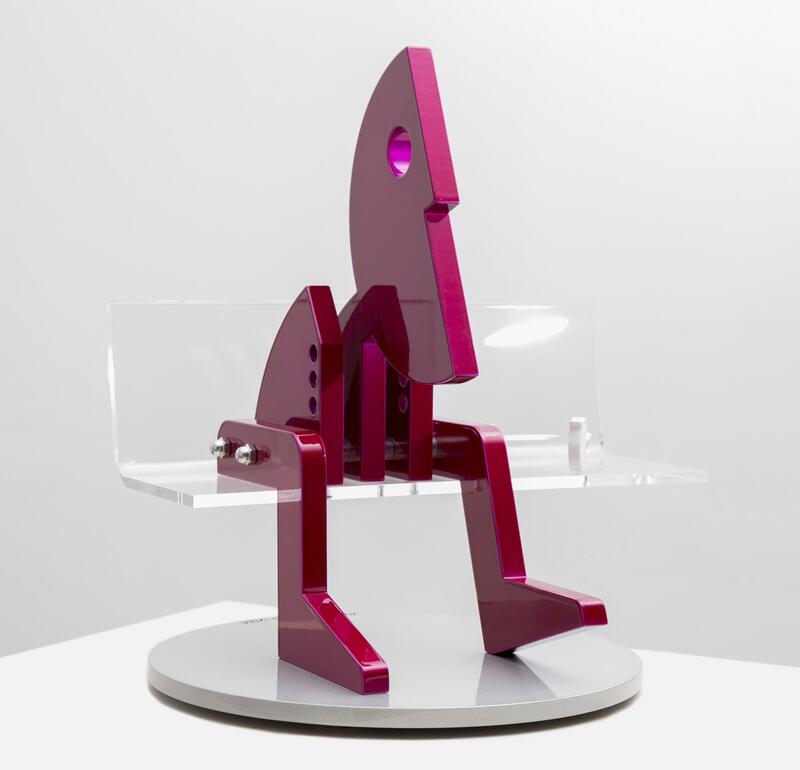 In addition to public art, Blanco continues his life trajectory with collectible sculptures, his illustrious comic strip “The Castaway,” and furniture design. Blanco’s technical mastery and flowing geometry has gained him international recognition. His artworks form part of sales in renown auction houses such as Sotheby’s and Christie’s. In 1971 Blanco graduated as an industrial designer from the prestigious Neumann Institute of Design in Caracas, Venezuela. Under the mentorship of European artists living as expatriates in Caracas, Blanco learned to integrate industrial design with creative processes. His instructors were predominately artists, such as Gego and Cornelis Zitman, who emphasized artistry in their classrooms. Blanco graduated with a degree in industrial design upon the completion of his first furniture line for children, a thesis project that foregrounded much of his future artwork. Immediately after graduation Blanco began his career as a sculptor, freelance graphic designer and furniture designer. In the late 70s he began studies at Rome’s Academy of Fine Arts, where his geometric minimalism and interest in expressive and yet delicate lines was further enriched. During his stay in Europe Blanco also uncovered the world of cartoonists. This discovery led Blanco to create the most iconic comic strip in Venezuela’s history, “The Castaway.” In 1980 “The Castaway” made its debut in El Diario de Caracas. The strip’s main character, Castaway, rapidly became a beloved hallmark. Castaway was widely disseminated across the city; it enhanced the city’s metro system even. Eight books have been published on Blanco’s “The Castaway.” For over thirty years, these black and white vignettes have humored viewers, inviting them to contemplate nature and liberty. Through scenes that celebrate philosophical whimsy and human imagination, Blanco narrates heartfelt stories. As “The Castaway” continued to live its success, Blanco illustrated more than twenty storybooks for children and countless educational books. His accomplishments as illustrator led him to El Museo de los Niños, where he served as Creative Director for twenty years. During Blanco’s directorship at the Museum, his sculptural work evolved from darker expressions on political ideologies and existentialist absurdity into bright and energetic dialogues supporting newfound values. Love, music, dance, sports and humor motivate Blanco’s widely known oeuvre. Throughout his career Blanco has designed purposefully. He seeks to engage his audience without requiring intellectual explanations to be understood. Combining geometric precision and figuration, he communicates effectively and immediately. Like the work of his primary influences, Klee, Miró, Herbin and Calder. 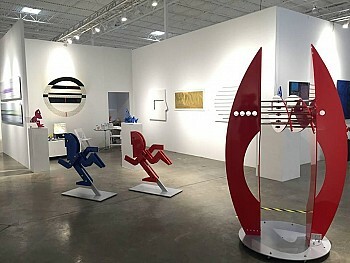 Blanco’s presents his sculptures in primary colors. 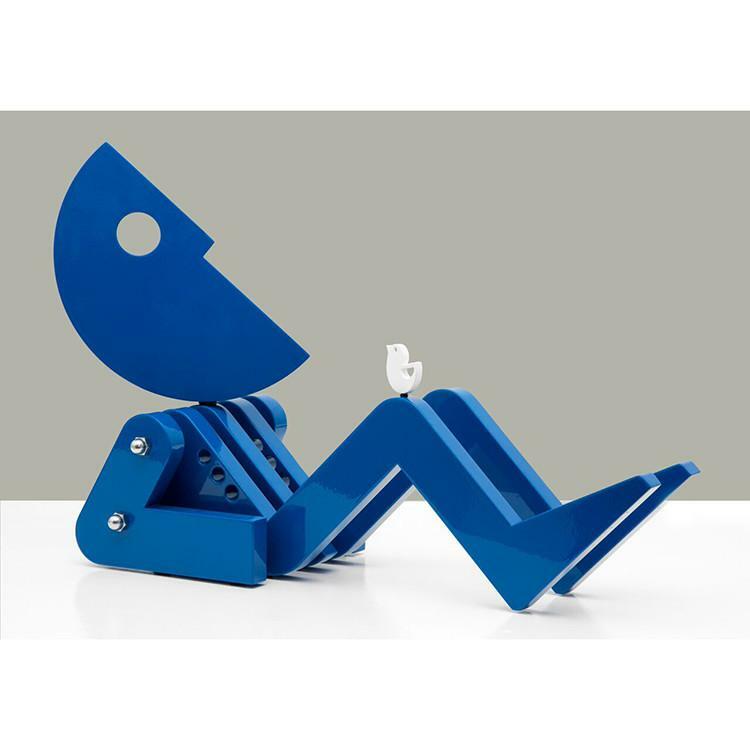 Purity of color and form tune the vibrancy of his compositions and resolve his sculptures with a personal kind of sophisticated simplicity. Blanco’s largest body of work has been created and fabricated in the United States, where he lives and works since 1999. Blanco is continuously honored with accolades, most recently is the DCOTA Star of Design Award, which he was awarded in 2013.